Thinking about taking on one of the worlds most amazing long distance trails? Maybe the 500 mile Colorado Trail, Grand Italian Trail or the Camino de Santiago in Spain? You will have hours to walk, think and as a new friend taught me while I was walking the Camino de Santiago, allow the trail to sharpen you into your greatest and truest form. A little corny? Yes. A powerful tool for personal growth? Yes. So what is a mantra? The dictionary definition is “a word or sound repeated to aid concentration” and while I am hiking, especially long distance, I have found a version of a mantra is a fantastic way to learn a lesson, brighten your day or become a better you. Some are quotes I like, others general lessons I continue to focus on. Walking meditations so to speak. Many of the below mantras I used myself. If you like them, print this free walking mantra guide to carry in your pocket along the way. Simply focus on the phrase and repeat it to yourself, occasionally, throughout a day of walking. 1.) I am light and I am strong. I have all of the answers I need inside me. 2.) 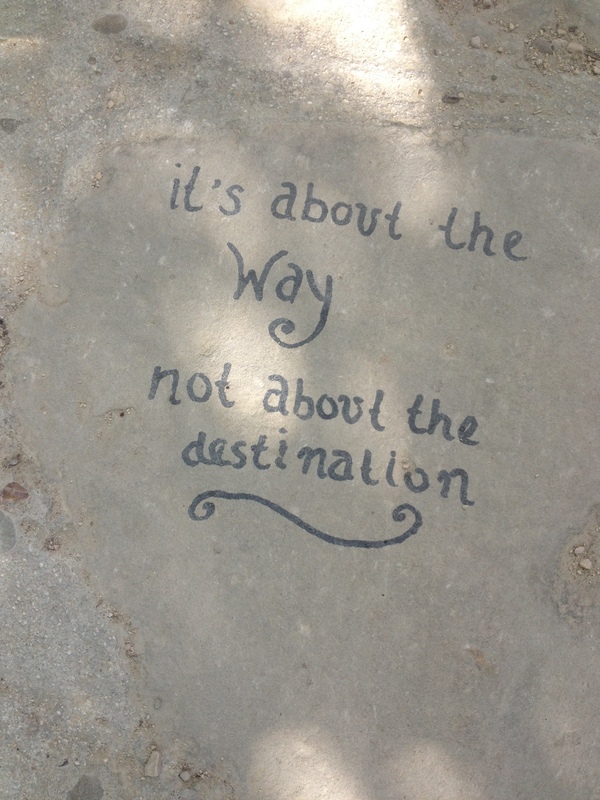 It’s about the way, not about the destination. 4.) The only person I need to be better than, is the person I was yesterday. 5.) Enjoy yourself while you are here. 8.) This very moment is the perfect teacher. 10.) Siempre hay que ver el positivo. Always focus on the positive.